Simone Townsend, 52, sits on the stoop of her Penrose home. She says she sees an increase in crime during the summer months in her neighborhood. “It’s bad because they just can’t play outside without having to worry about gunshots,” Townsend said. “What we see in data over the last couple of decades is that serious violence tends to be about 5 to 6 percent higher in the summer than it is during other months of the year,” said Janet Lauritsen, a criminology professor at the University of Missouri-St. Louis. The reason crime spikes in warmer weather is fairly simple, according to Lauritsen. As temperatures rise and more people head outside, the chance of violent encounters also goes up. “There are more available targets, more interactions between people which could lead to conflict, which may result in some sort of violence,” Lauritsen said. 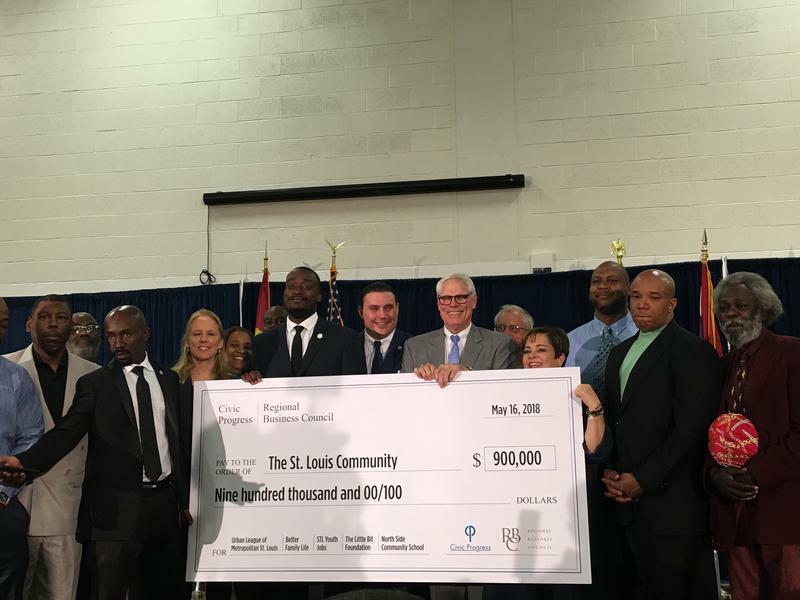 The St. Louis Metropolitan Police Department receives 5,000 to 6,000 more calls for service during the summer months, said Major Mary Warnecke. 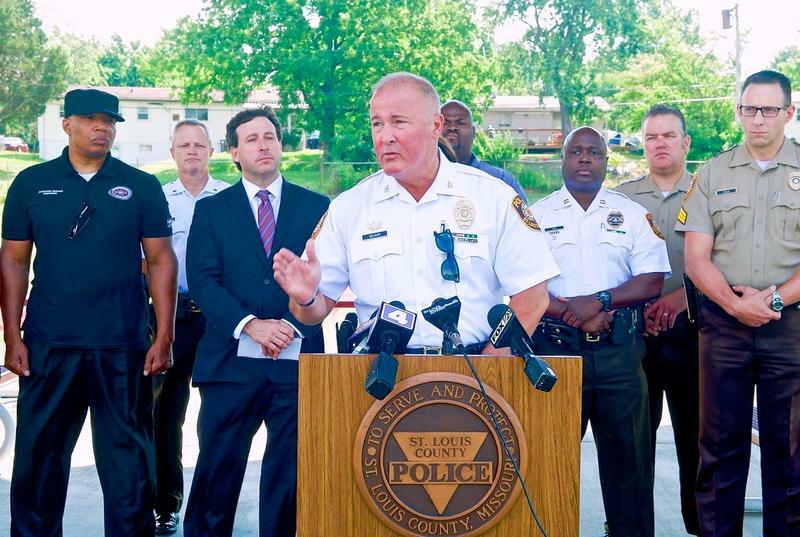 She said the police department follows crime trends, particularly in the “quadrangle,” a region in north St. Louis stretching from Goodfellow Boulevard, Vandeventer Avenue, Dr. Martin Luther King Drive and West Florissant Avenue. That area tends to see a large number of violent crimes, particularly during warmer weather. City officials and families discuss the correlation between crime and temperature during the summer months. Warnecke said the department doesn’t put additional officers on the streets during the summer months. In the city’s 22nd Ward, Alderman Jeffrey Boyd is hopeful that more focus on community policing will help contain crime this summer. In late May, the police department sponsored a community engagement event at Barrett Brothers Park in the WellsGoodfellow neighborhood, which is in Boyd's ward. More than 300 children and adults attended he event, Boyd said. Events that encourage interactions between the police and citizens is something that Boyd hopes to see more. 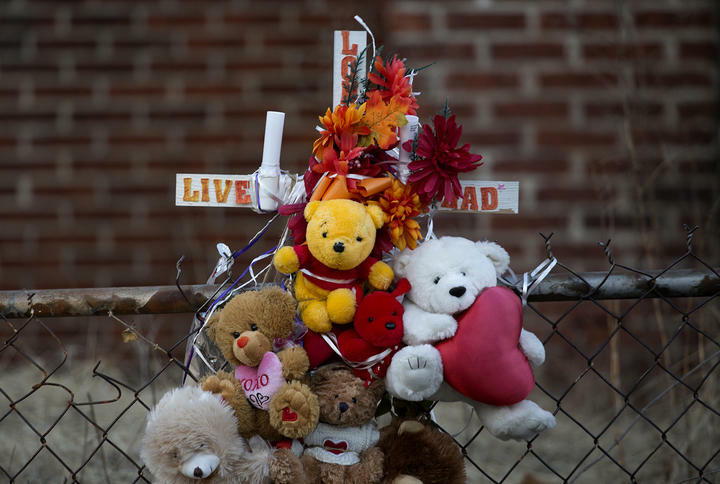 The memorial for Rashad Farmer in the 5800 block of Lotus Avenue. Farmer was the nephew of Alderman Jeffrey Boyd. He was killed in July 2015. “I’m very energized, but I also get anxieties when late spring and early summer pop up because we do have a rise in crime,” he said. Boyd lost his 23-year-old nephew to gun violence on July 13, 2015 in the 5800 block of Lotus Avenue. The incident occurred on what happened to be the hottest day of that month. Boyd said his nephew was visiting his girlfriend’s house when he was shot outside. A memorial remains today at the site of the incident. During the summer months, data show that between 70 and 80 degrees, there’s on average one more violent crime in St. Louis. The effect slows down, peaking at 90 degrees. When the temperatures are hotter than 90 degrees, the crime starts to drop. Boyd points to a lack of opportunity as one reason for the warm weather uptick in violence. In fact, city and police also are working with various community programs in an effort to reduce violence. At an event earlier in May, the Regional Business Council and Civic Progress announced a $900,000 investment to provide job training programs for so-called at-risk youth. The investment is part of a larger goal to improve public safety. 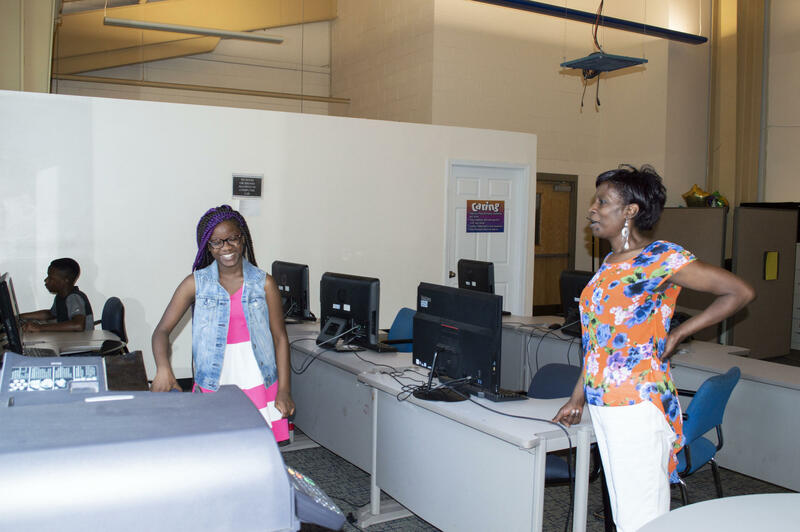 Simone Townsend watches over her 12-year-old son and 12-year-old granddaughter at the Gateway Region YMCA, where she is the membership engagement specialist. She says she takes them there over the summer while she's working because it's safer. Hayden said giving young people a chance to work toward something will help them avoid negative activities, such as drug sales, that often lead to violence. In the Penrose neighborhood, Townsend copes by taking her son and granddaughter, both 12, with her to work at the Gateway Region YMCA. She isn’t willing to leave the pre-teens alone during the long summer days.